This tutorial will teach you how to reset Android and return the Samsung Galaxy Note 4 to its factory settings. We will explore two methods of resetting Android, suitable for eliminating bugs, lags or removing a lock pattern that you may have set and now forgot. In other words, when you reset Android you will leave your Samsung Galaxy Note 4 as good as new. Before starting with the procedure, make sure that your phone’s battery is fully charged, in order to avoid any unexpected shut downs during the reset procedure. You may use the first method to reset Android, through the Settings menu, if you still have access to your Samsung Galaxy Note 4’s OS. Otherwise you will use the second method, which involves pressing keys in a certain order. From the applications menu, go to Settings and then to User and Backup. Choose the option Reset, and then agree to all questions asked and your Samsung Galaxy Note 4 will start the process and then reset itself. You will use this method to reset android if you don’t have access to the OS of your Samsung Galaxy Note 4, as it may happen if you forgot your lock pattern. 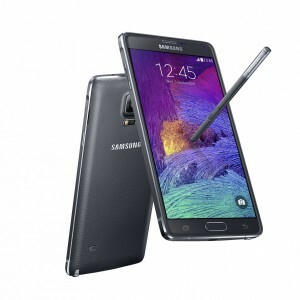 The first thing you need to do is completely turn off your Samsung Galaxy Note 4. Press the Volume Up, Start button and Power button at the same time. When your phablet vibrates, let go of all the buttons, except the Volume Up. Once you’ve entered the recovery menu, let go of the Volume Up button, too. The process will start automatically and once it’s done you will return to the main menu. If you see the welcome screen on your Samsung Galaxy Note 4 then you successfully managed to reset Android on it.